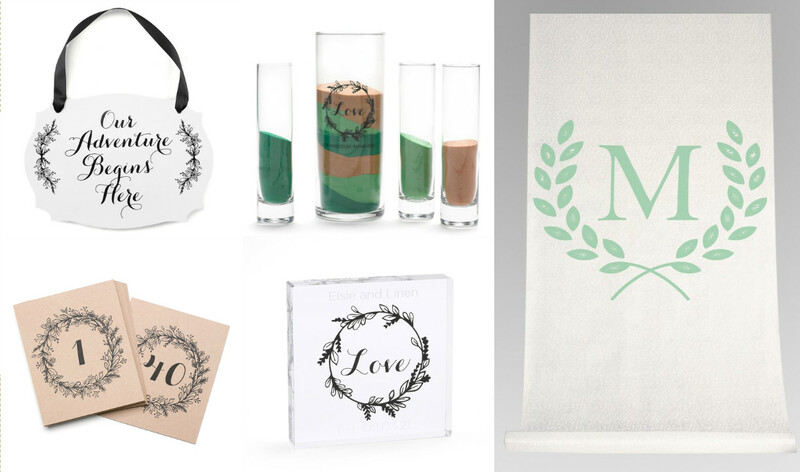 One of our favorite things to find out when a new year rolls around is what types of items that brides and grooms will favor for the coming wedding season. Trends pop up every year, some brand new but often just a unique twist on a classic look, and WhereBridesGo.com has a few trends featured in today's blog that we expect to see used quite often this year. 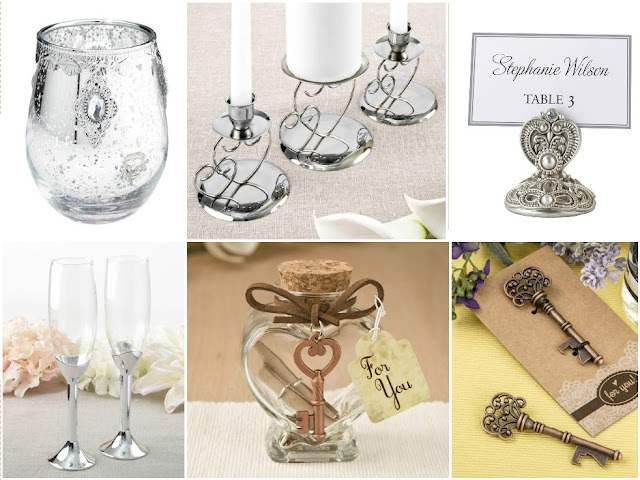 Our online wedding accessory store is a great place to find many of them! 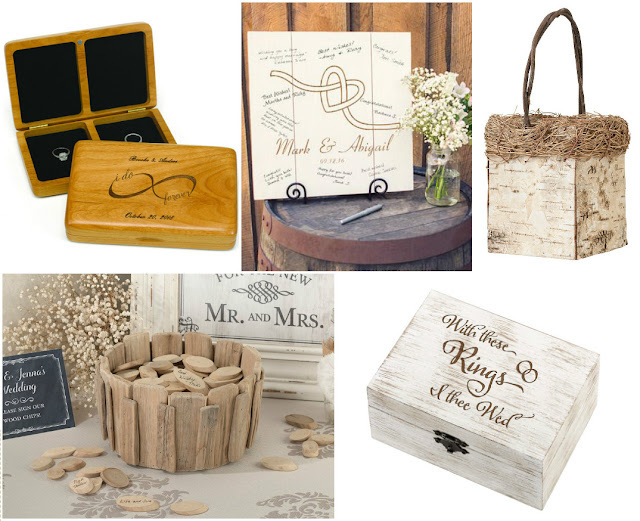 Rustic weddings will never go out of style, but where lots of burlap and lace was the way to do it in the past, couples will be incorporating a lot more wooden elements into this type of wedding theme in 2018. There is a lovely many lovely ways to use wood in different areas of your wedding decor, and a woodgrain pattern would even look wonderful on your stationery. 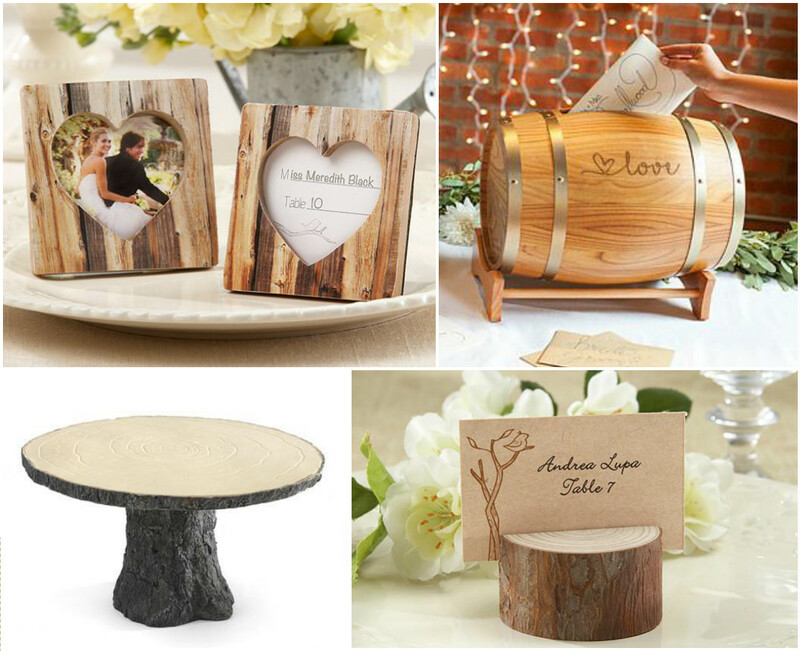 Wooden items look gorgeous on their own, and slabs of wood make excellent accent pieces for holding up centerpieces or wedding cupcakes. Winery weddings are another fantastic place to incorporate wooden wedding elements such as wine barrels. The neutral shade of wood also gives you lots of freedom to use it with any accent color. Another popular look will be lots of items that you can see right through, in some cases allowing the beauty hidden behind it or underneath to shine through. This is another chance to use any color you like along with it because clear doesn't clash with anything. Imagine lucite signs with beautifully written sayings on them and lots of glass and crystal used everywhere. 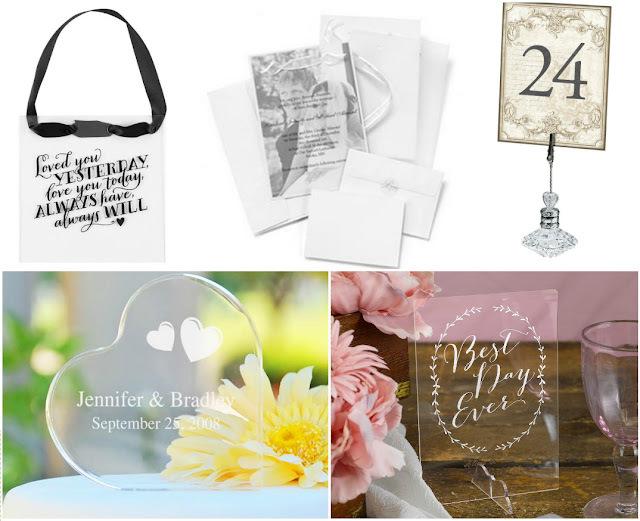 Transparent papers can be used for menus and invitations, either laid over your wedding color or a sweet photo of the two of you. This year weddings will not only feature textured items in the decor, but layers of different textures all in one place. This can add incredible visual appeal to the overall look of the entire room. Burlap and lace have always been a great combination, and wooden elements added to that give you the "new rustic" that we talked about above. Lace over satin can look elegant, and you might even be able to incorporate feathers with that, or possibly faux fur for a winter wedding. Wreaths are making a huge comeback for the floral elements in weddings. You will also find many items that have romantic wreath patterns printed on them when you shop online for wedding decorations at WhereBridesGo.com. This is a nice way to pull this pretty pattern into the non-floral items at your wedding too. In addition to hanging rings of greenery adorned with beautifully colored blooms, expect to see some couples also hanging their floral arrangements from overhead this year. A creative florist will know how to make that happen. Metallics are popular every year in some shape or form. Last year rose gold was all the rage. This year we expect to see the use of a lot more silver, chrome, and copper colors. Whether you want lots of sparkle and glitter or prefer a more muted, vintage look, these particular metallics can be incorporated nicely. Do any of these upcoming wedding trends for 2018 catch your eye? Trends are excellent inspiration for helping you find exactly what you want your wedding to look like. 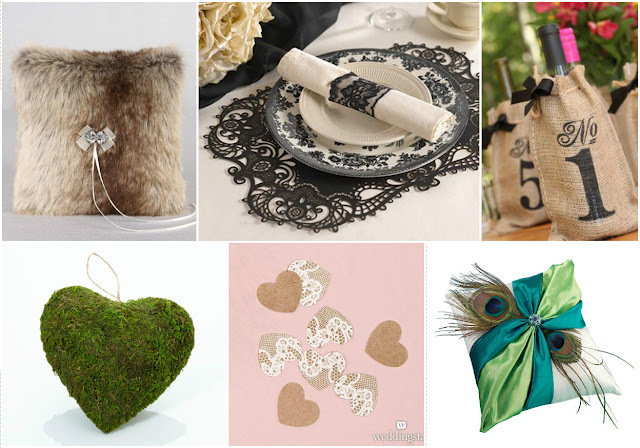 So is browsing the many beautiful wedding accessories we carry at WhereBridesGo.com. 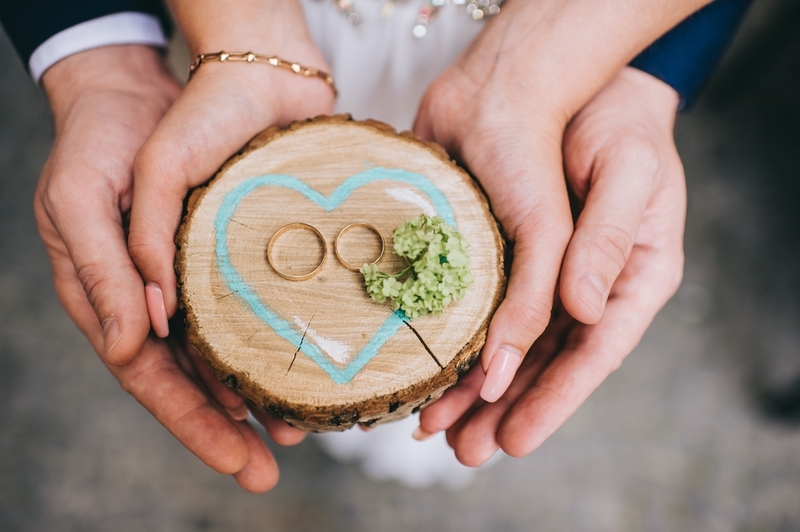 While you're there, you will find lots of things like we have described above, plus a multitude of other colors, themes, and elements that will help guide you to your very own dream wedding.